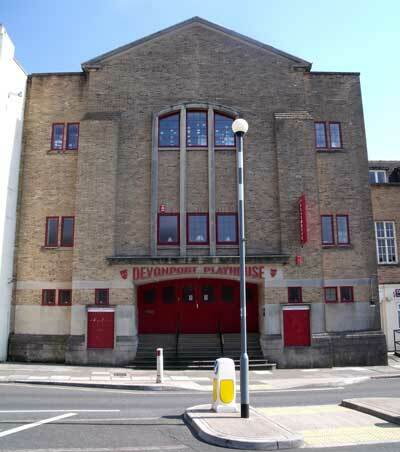 In the photo above is Devonport Playhouse, Fore Street - home of Plymouth Theatre Company. The site was originally the Wesleyan Methodist Central Hall, but that building was bombed during WW2 and rebuilt anew by the methodists around 1956-57. 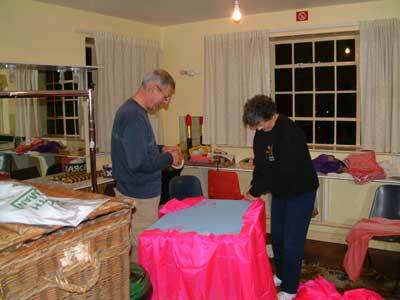 At the time of rebuild it was a much larger structure than now, since it also included the Welcome Hall, next door. 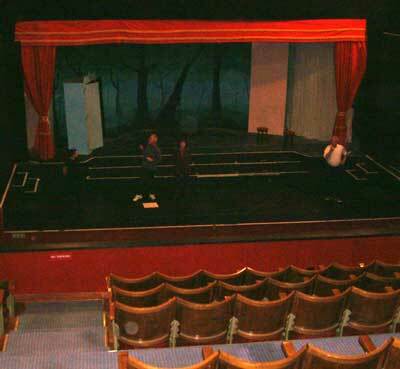 At some point during the 1970s the building was separated in two; the half that is the Playhouse then stood empty for 12 years, until purchased by Plymouth Amateur Operatic Company (PAOC) in 1988. Angela O'Brien, speaking to me in December 2001, described how the company formed in 1899 but had always rented premises, until they'd bought this building in 1988. "It's the first home we have owned after all these years, and we're all very proud of it - we're also very proud of it being here in Devonport." 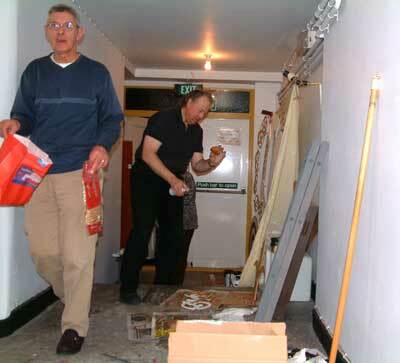 When they bought the church members set about converting the property themselves, and have continued updating it ever since. 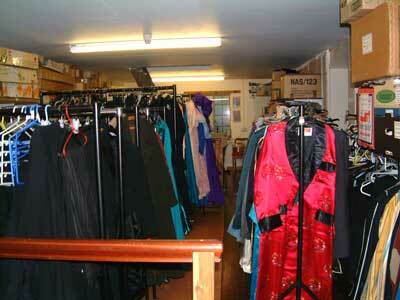 It has everything necessary for a full theatre, Lights, Green Room, Wardrobe, Dressing Rooms, even a glory-hole. I asked Angela if any famous celebrities were involved with their group? "There was Jeremy Coles who once attended the Royal Ballet Company, and Michael and Jeremy Hodges who were both professional ballet dancers. One of our current members is Mark Steward - Mark was an understudy for Christopher Reeves in the film ‘Superman’, and we have Katy Obrien who has been on stage professionally." 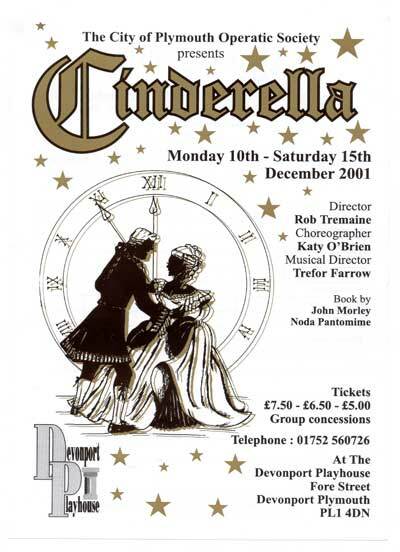 That year, 2001, for the first time ever in its history, POAC produced a Pantomime - Cinderella. I attended with my sister and nieces and we all enjoyed it. 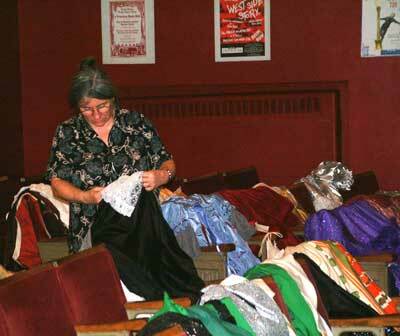 At the bottom of this page are photos of the company preparing for their first pantomime. The following year PAOC changed their name to Plymouth Theatre Company. 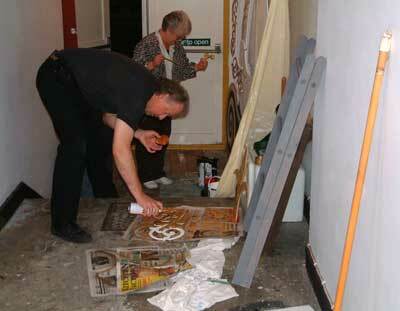 I write now in 2009, with Plymouth theatre Company more popular and successful than it's ever been. The company is a registered charity and raise all monies from their productions each year, plus whatever fees they can raise from renting out the building (meetings, conferences, other). 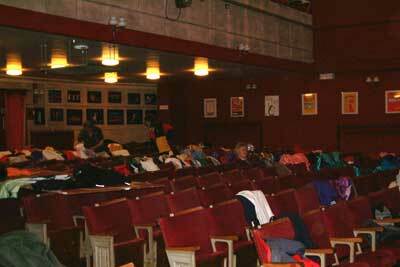 Their rental fees are modest, so if you're seeking somewhere original for your event why not consider the Devonport Playhouse - there is seating for over 300. Angel O'Brien, who is Chairman of Plymouth Theatre Company, teaches dance and is a theatre director of some distinction locally in this city. She regularly produces the wonderful 'Music of the Night' at the Citadel on Plymouth Hoe, a much-loved production by both visitors and residents. 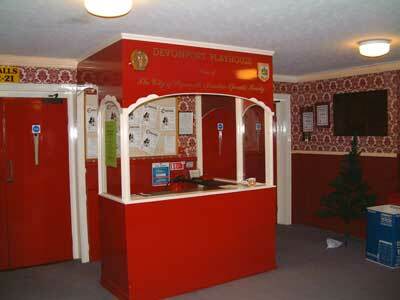 The ticket desk as it looked that year. 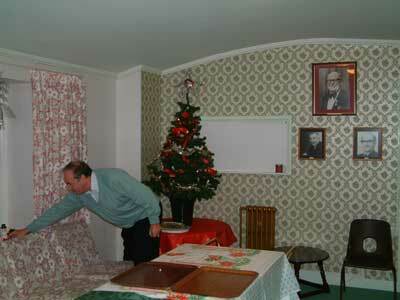 Len Wooldridge was showing me the Green Room. 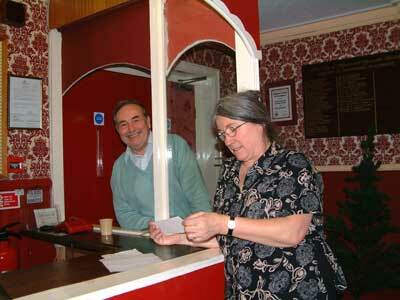 Len and Wardrobe Mistress Jeanine Allen take a break, chatting at the ticket desk. Desi, originally a Pembroke street girl, preparing song-sheets for the audience to sing along with. 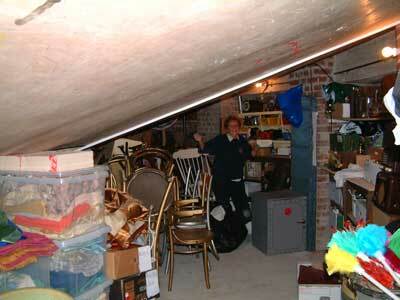 Desi again, showing me the basement glory-hole.